Of course, Orwell’s anti-communist sentiments are familiar to every student who has read Animal Farm. Less well known is the degree to which he contributed to anti-communist propaganda, even corresponding with British secret services and keeping a blacklist of writers he deemed either “cryptos” (secret communists), “fellow travellers” (communist sympathizers), or outright members of the Communist Party. Orwell’s involvement with the Information Research Department (IRD), a propaganda unit formed in 1948 under the UK’s Foreign Office to combat Stalinism at home and abroad has received a good deal of attention in the past few decades, in part because of the discovery in 2003 of a private notebook containing his original list. Even before this revelation, biographers and historians had known about the list, which Orwell included, in part, in a letter to his love interest Celia Kirwan, who worked for the IRD, with the instructions that she keep it secret due to its “libelous” nature. Orwell intended that the writers on the list not be asked to work for the IRD because, in his estimation, they were people who could not be trusted. 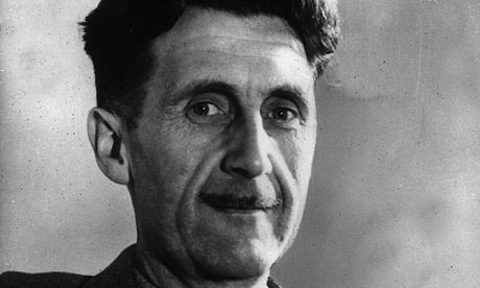 Reactions to Orwell’s list have been very mixed. When the story first broke in the late nineties, Orwell’s longtime friend Michael Foot said he found the list “amazing” and out of character. One of the people named, Norman Mackenzie, ascribed the list to Orwell’s illness, saying that the writer was “losing his grip on himself” in 1949 during his final struggle with the tuberculosis that killed him that year. Orwell biographer Bernard Crick defended his actions, writing, “He did it because he thought the Communist Party was a totalitarian menace. He wasn’t denouncing these people as subversives. He was denouncing them as unsuitable for counter-intelligence operation.” On the other hand, late leftist firebrand journalist Alexander Cockburn condemned Orwell as a “snitch” and thought the list was evidence of Orwell’s bigotry, given his suspicion of Paul Robeson as “anti-white” and his denouncing of others due to their rumored homosexuality or Jewish background. He makes a compelling case. Whatever Orwell's motivations, the effect on the named individuals' professional and political lives was mild, to say the least. This was hardly a McCarthyite witch-hunt. Nonetheless, it’s a little hard for admirers of Orwell not to wince at this collaboration with the state secret service. Below, see the list he submitted to Kirwan in his letter. Further down is a list of names, including those of Orson Welles and Katherine Hepburn, that appeared in his notebook but not on the list he gave to the IRD. Peter Smollett, Daily Express journalist later identified as a Soviet agent, Smolka recruited by Kim Philby. Orwell was closer to O’Brien than he was to his delusional vanity project version of himself limned in Winston Smith.